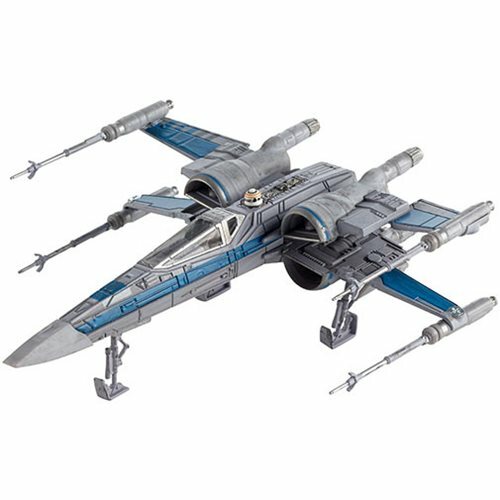 Straight out of Star Wars: The Force Awakens, this die-cast metal Star Wars: TFA Resistance X-Wing Fighter Hot Wheels Elite Vehicle features an opening cockpit with a non-removable Poe Dameron figure and BB-8. 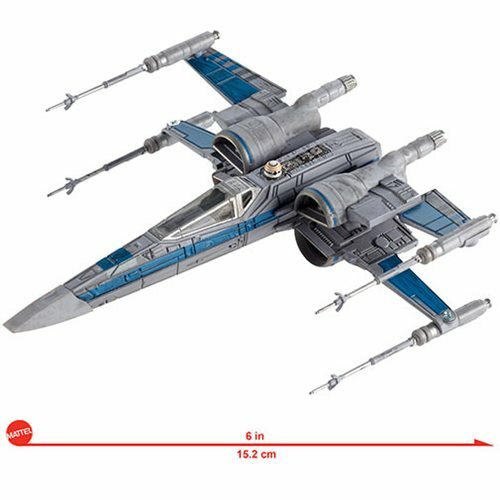 Expertly crafted, it measures 6-inches long x 5 1/5-inches wide, and its wings open! 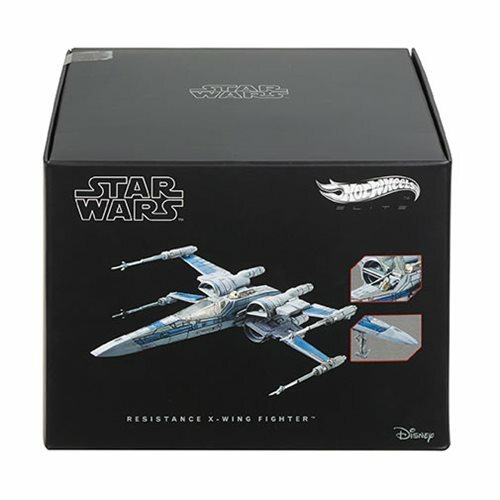 Also included are interchangeable landing gear and a display stand. 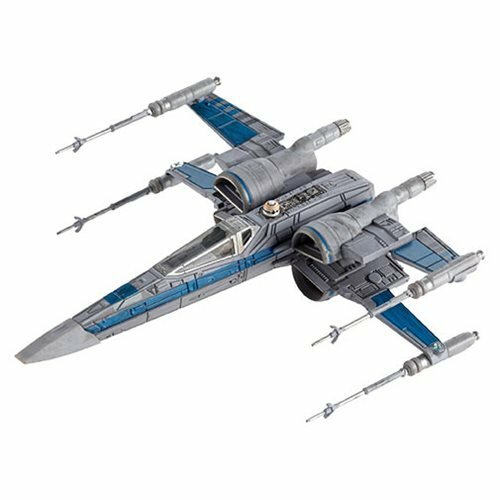 The T-70 X-Wing fighter is armed with 4 laser cannons and 2 proton torpedo launchers that prove pivotal in the fight against the First Order. Ages 14 and up.